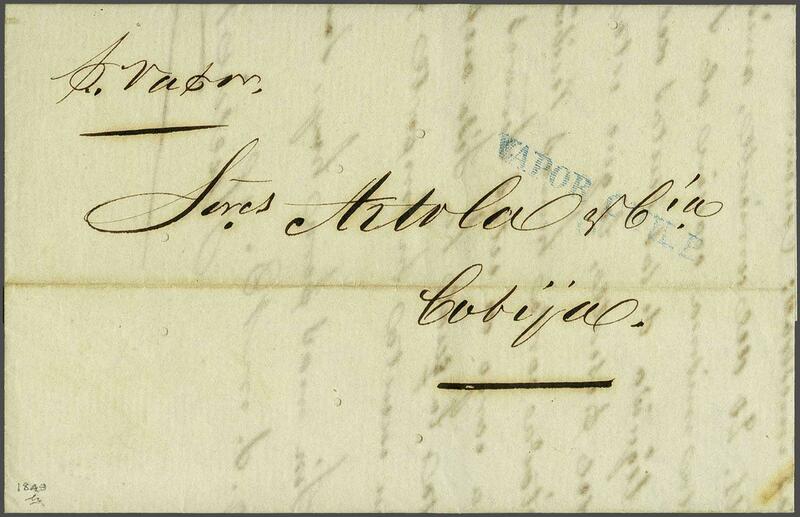 Peru Steamship Navigation Company 1849 (Feb 28): Entire letter from Valparaiso to Cobija, Bolivia endorsed 'pr. Vapor', struck with fine strike of PSNC Steamer VAPOR CHILE / P handstamp in blue (Doublet C9, in use 1848-50 only). One or two minor wormholes not detracting from a scarce entire.rnProvenance: Corinphila sale 90, Oct 1994, lot 6462.